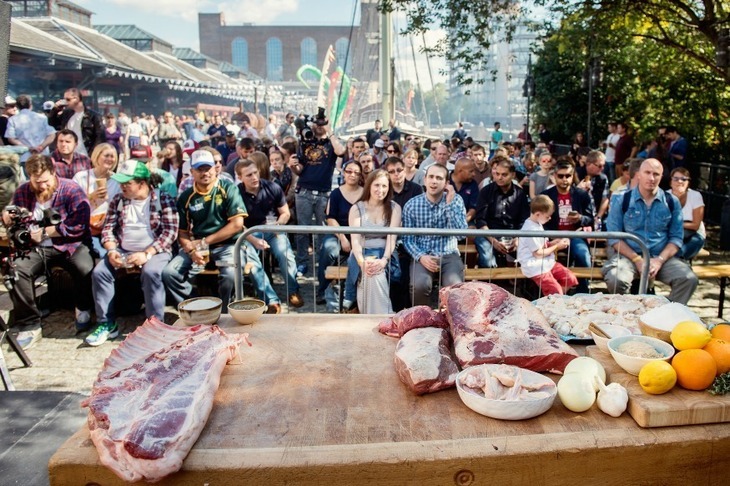 Founder of the UK version of Meatopia, Richard Turner. 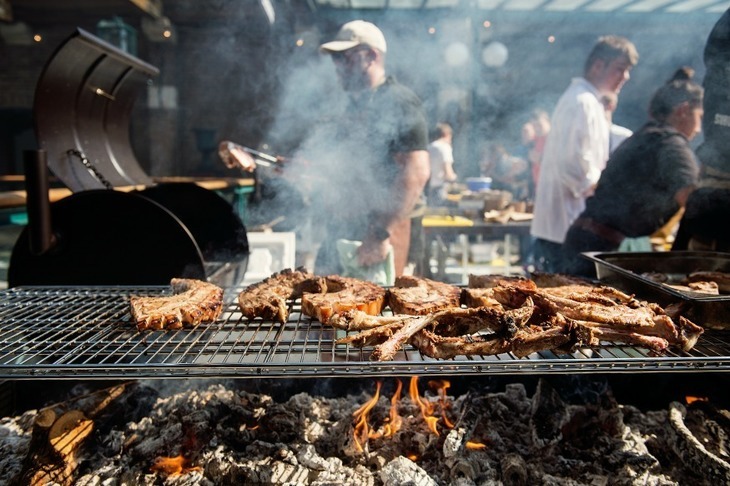 If you're into meat and BBQ then Meatopia will be like dying and going to a smokey version of heaven. 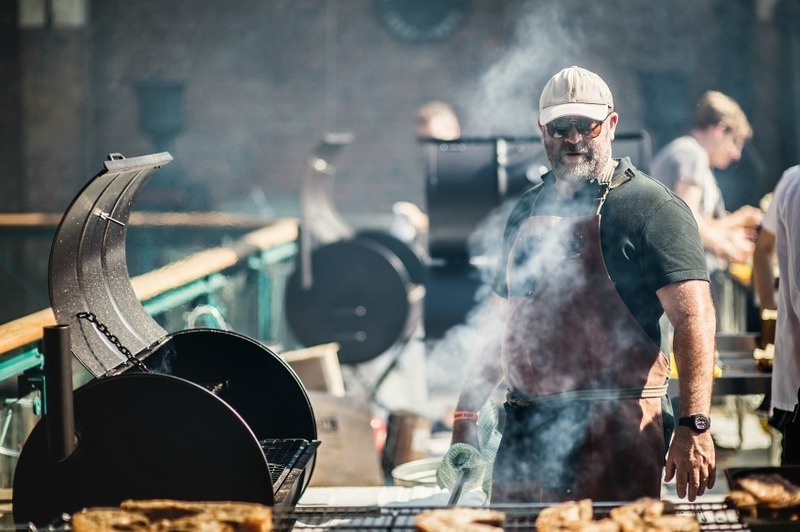 A three-day extravaganza of grilling, boozing and music is taking place at London's Tobacco Dock, and tickets are selling out fast. Mmmm smoky. Photo: Tom Gold. 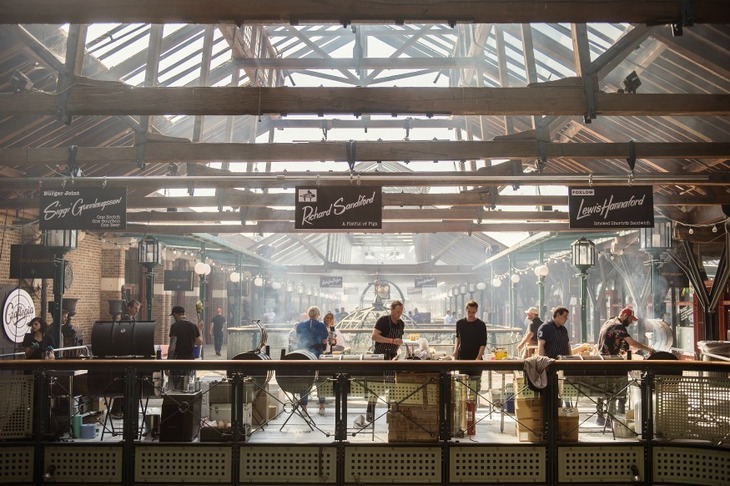 More than 40 chefs will cook from 2-4 September including some of London’s best-known names, like Richard Turner (responsible for bringing the event to the UK), Berber & Q's Josh Katz and Duck and Waffle's Dan Doherty. 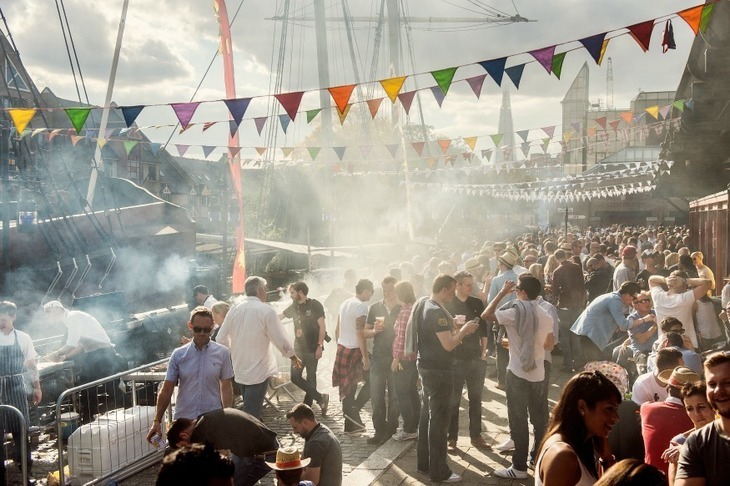 Tobacco Dock is transformed into a giant BBQ. Photo: Tom Gold. Other chefs include Selin Kiazim from Turkish restaurant Oklava, Shotgun's Brad Macdonald and Shaun Searley from Quality Chop House. Get your chops around these. Photo: Tom Gold. There will be chef demos, butchery classes, food stalls and free-flowing beer, from sister festival Craftopia, headed by beer guru Melissa Cole. There will be meaty cooking demos. Photo: Tom Gold. Music comes from Professor Green on the Friday Night Late Shift (over 18s only) and Norman Jay, amongst others on Sunday, which will have more of a family, carnival feel. Wapping Lane, E1W 2SF. Tickets can be booked via the website.